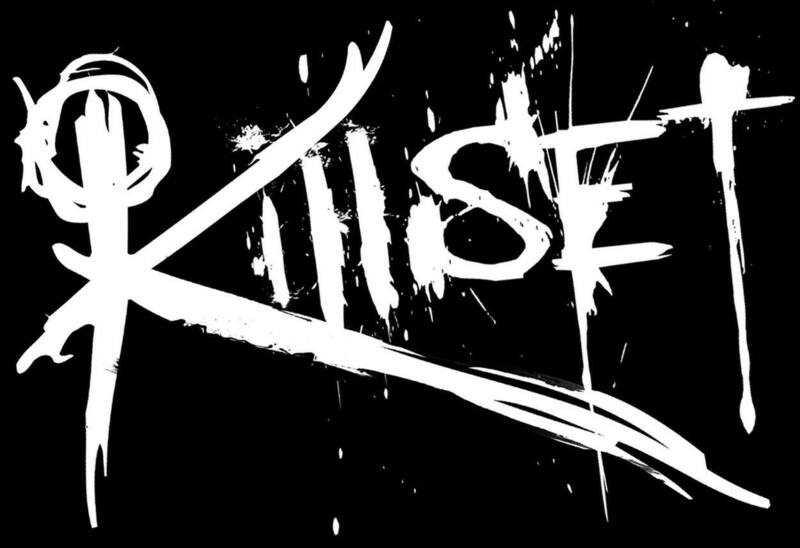 KillSET's Mark says New Album Underway with Plans to Tour Crazily! 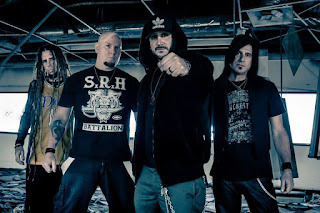 Californians KillSET was created hen former ARCM members, James "Jas" Dillon (Drums), Mark Baker (Bass), and Dave Comer (Guitars), combined forces with established singer Luca (Choleric). From that point, there was this connection between them that developed an ongoing writing process, leading to kicks that would create their debut album "Know Your Kill". This would then cause promotion, shows, demonstrating their sound and style, as they would soon go on to write and record a follow-up album "S.T.F.U.". A time of transcending with a whole unique style that is truly undeniable to upkeep for just themselves. Bassist Mark Baker, discusses this latest album "S.T.F.U." how much the band wants to tour, plus much more! 1. Let’s get started by introducing KillSET to our readers. Who is KillSET and how did you guys get started? Mark: Killset is Chris Luca (vox), Dave Comer (guitars), James Jas Dillon (Drums) and myself Mark Baker (Bass). The group started with James and myself after our last band (A Race Called Man) broke up and we knew we still wanted to push forward and do what we love. So the next step was to bring in a guitarist, so I reached out to Dave, whom I've known for many years as we have toured under a major label together and I heard he just exited his band (Heaven Below). I already knew there was going to be a good chemistry because even though James and Dave never played in a band together, I myself have played with both these guys and like I thought the music was just pouring out. Our next and final step was to get THE RIGHT vocalist for what we wanted to accomplish. After many failed auditions. I already knew who I truly wanted to front this band and I even showed Dave and that was Chris Luca from the band (Choleric). They were like " this guys would be a perfect fit". I told the guys that I had already reached out to him in the past but his band was on tour with Sevendust at the time. Now keep in mind a year of auditioning has gone by and nothing! Us 3 knew this was the last straw cause what is the point of continuing if you don't have the perfect vocals for the music? I gave Luca another call, and I had James call him too hahaha. Luca called me back and told me his band was on hiatus so now would be a good time to send him some material. Longer story short...lol!! Luca came down after hearing it and again like I already knew, all of us had instant chemistry and more music was just pouring out. Few years later here we are and now I can't get rid of these guys...hahaha. 2. 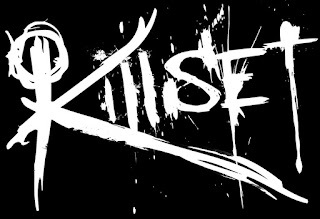 Why is the band's namesake KillSET spelled in both lower and upper case lettering? How did this name come into the picture and does it have a meaning to it? Mark: We wanted a name that describes our personalities. When we are on stage we just want to destroy it! We want our fans to walk away getting their monies worth. If you are standing in the front bring a rain coat cause sweat will be flying at you like you are at a Gallagher show when he smashes watermelons....lol I think it was Luca or James who said we really need to kill this set we are about to do and thus Killset was born! As far as the upper and lower casing goes I think that's how are graphic designer (Steve Talbot) just designed it....haha Our attempt at coolness maybe?? lol! 3. How would you describe your style, to someone who has never heard your style before. Mark: We describe our style as Chaotic Melodic. We love writing heavy CHAOTIC rhythms that want to make you mosh then turn around and hit you with a MELODIC hook that moves the soul. Luca then ads lyrics that people can really connect with because they are not just words to fill space. Our songs are in fact "our life stories" that each of us have been through. In ones life you will definitely encounter Dark times then you will have beautiful times. 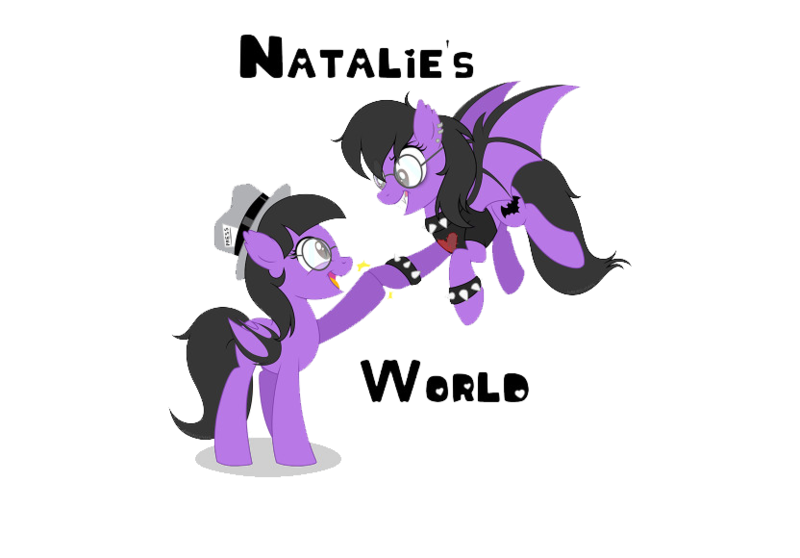 That's us, CHAOTIC MELODIC BABY!! 4. Why did you think that "Killers In The Pit" and "Tomorrow" were both suitable to be made into singles and videos? Mark: Because Luca is a big east coast bully and said " these are our singles and that's final!". That's East Coast Democracy! KIDDING!!! We all love those songs, if we had it our way every song would be released as a single. But we had our PR people (Yvonne Laughlin and Chip Ruggieri) listen to the album and they confirmed our decision as well. 5. What can you tell me about your new album "S.T.F.U." that has not already been said about it? Mark: Kind of hard to answer that since our album hasn't dropped yet. We are excited to see what people will have to say. 6. Would you like to share any strange hobbies or habits that the band members may have? Mark: We will exercise our 5th amendment rights for this question...haha I just can not see how this will benefit the bands image in any possible way...LOL!! 7. Where do you hope to see yourself and the band in the next 5 years? Mark: Performing all over this planet and having a good time with our fans the KILLERS! 8. What does the band have planned for the rest of 2017? Mark: Releasing our album, videos and tour like crazy!! 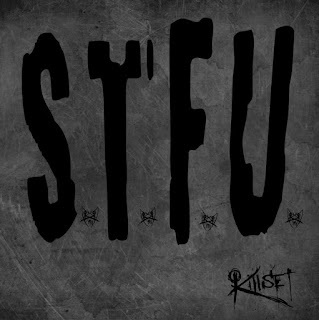 Mark: You can see us on facebook.com/killsetofficial and Get FREE TRACK when you PREORDER our new album S.T.F.U.!!! https://itunes.apple.com/us/album/s-t-f-u/id1247239893. Mark: It's not so much about "remembering". We want and hope that our listeners will walk away FEELING the music and CONNECTING with the message. When that undoubtedly happens, then there is no way they will ever forget us. Thank you for supporting Killset!